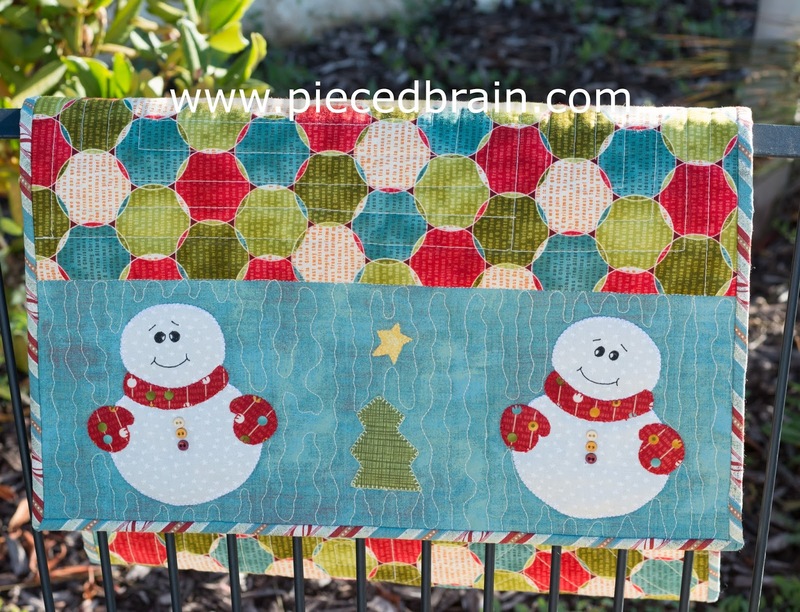 How about a fast table runner for Christmas? 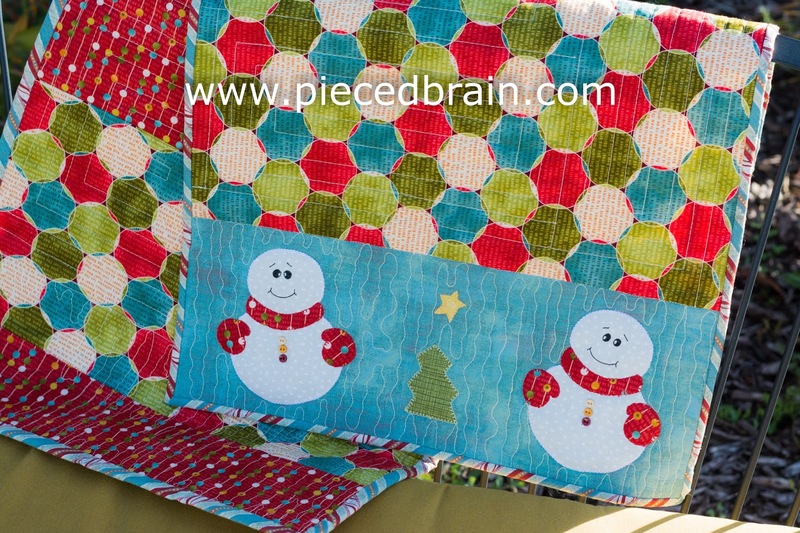 One long rectangle of your favorite print, with Snow Buddies appliqued on both ends? I quilted organic lines on the applique area and lots of rectangles elsewhere. I used Aurifil 50wt thread for the blanket stitching of the appliqued shapes and for the quilting. The backing was pieced and it all come together very quickly. The facial features were drawn with fabric marker giving the snowmen a happy, chubby look. I like to hand stitch the binding so that is what I did on this table runner. Would you kindly tell me what fabric you used on this adorable runner? Thanks in advance for your time & help. I have one more piece of the fabric I used on the back which had salvage on - Yes! It is by Moda: basicgrey/jovial is the fabric collection. I bought it a while ago but I am sure you can still find it. I hope this helps! Thank you so much! I just fell in love with that print!! !